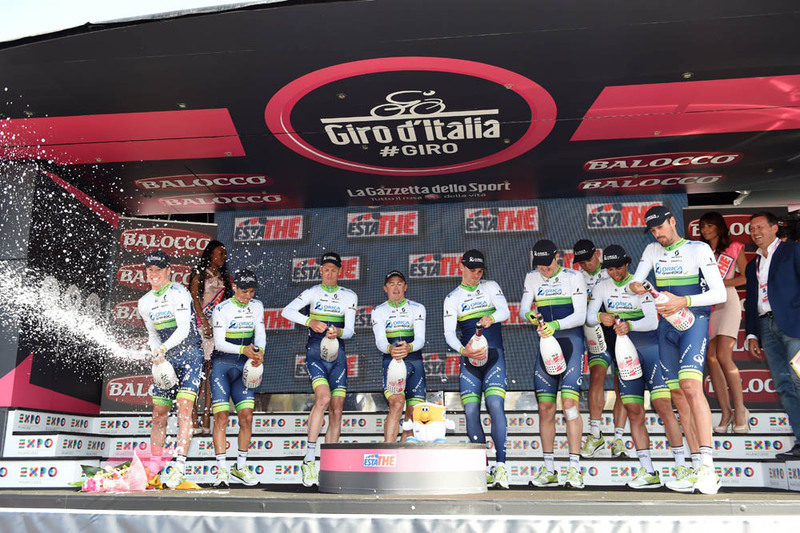 Orica-GreenEdge once again proved its team time trial credentials, winning the opening stage of the 2015 Giro d’Italia in San Remo on Saturday. 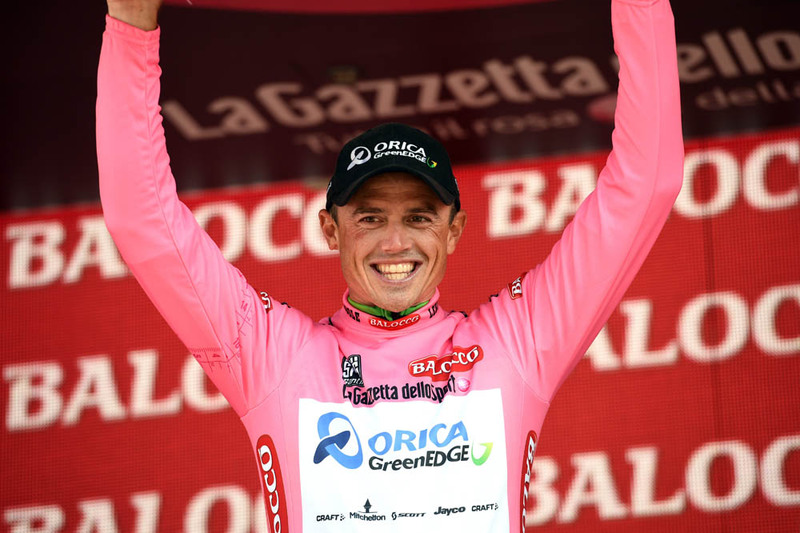 Simon Gerrans was the first Orica rider to cross the line, putting the Australian in the coveted pink jersey of race leader. 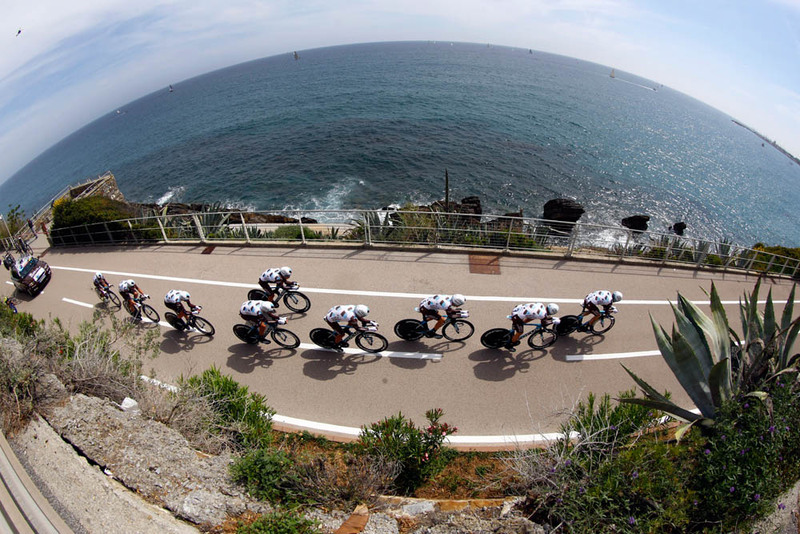 Orica-GreenEdge conquered the 17.6-kilometre stage from San Lorenzo al Mare to San Remo with a well-drilled performance. Tinkoff-Saxo finished in second spot at seven seconds, with Astana in third at 13 seconds. Despite the narrow nature of the course – a coastal bike path built on the route of a former railway – the stage was run off without incident, unlike last year’s opening time trial in Belfast that saw Dan Martin (Garmin) crash out of the race. 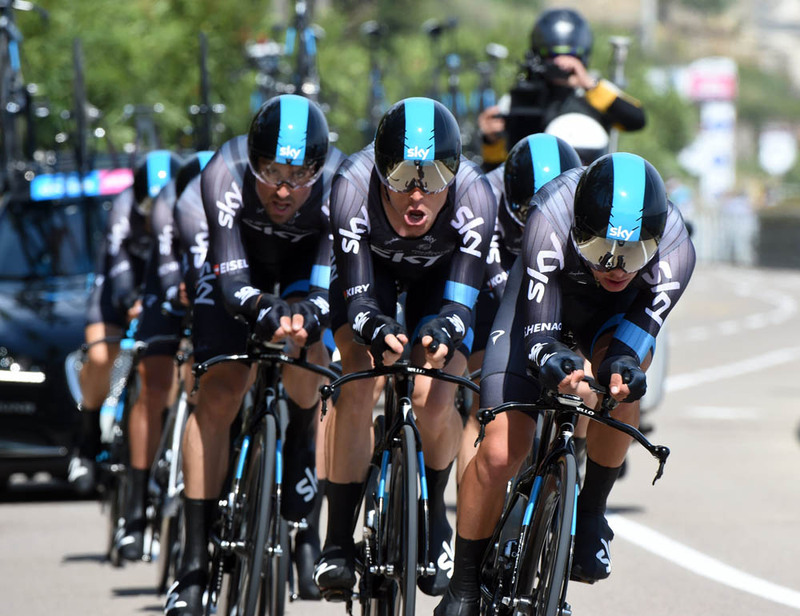 Team Sky put in a decent performance, but not good enough to overhaul the quickest teams and they ended up in ninth place – with Sky leader Richie Porte giving away 20 seconds to Tinkoff-Saxo’s Alberto Contador, 14 seconds to Astana’s Fabio Aru and eight seconds to Etixx-QuickStep’s Rigoberto Uran. Tinkoff-Saxo set the day’s fastest time at the 9.9-kilometre intermediate time check, but the squad’s early pace looked like it had taken its toll with Contador and Ivan Basso both off the back shortly after. Contador then looked to be having difficulty keeping pace with his team-mates, taking short turns on the front. However, they kept up enough momentum for Contador to finish as the best of the overall contenders, a very solid start to his campaign. One rider not taking part in the opening time trial was George Bennett, whose LottoNL-Jumbo team withdrew him the night before due to a low cortisol level returned from a UCI pre-race test. Bennett was not replaced in the squad’s line-up. The 2015 Giro d’Italia continues on Sunday with the first open road stage, a 173km trip from Albenga to Genoa, which looks highly likely to end in a bunch sprint.